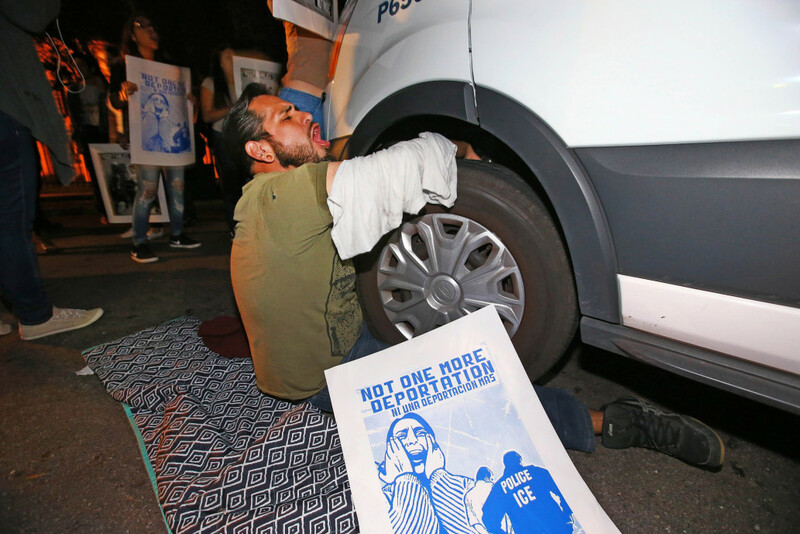 Protests broke out in Phoenix, Ariz., Wednesday night as a 36-year-old illegal immigrant who came to the United States at 14 reportedly became among the first ­illegal immigrants targeted for deportation under President Trump’s strict new immigration rules. Guadalupe García de Rayos went to her immigration office in Arizona for a regular check-in over an 8-year-old arrest for working with a false Social Security number, according to The Arizona Republic. She was cuffed and put into a van.